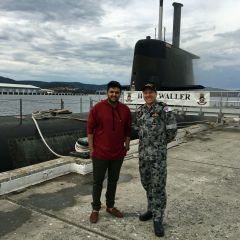 A group of 20 AMC students and researchers had the rare opportunity to tour a Royal Australian Navy submarine when HMAS Waller visited Hobart recently. 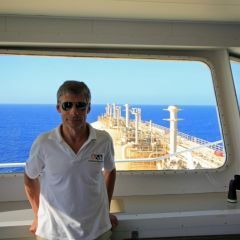 Engineer Brian Humphreys turned to the Australian Maritime College to make a career change by starting an MBA in 2016. 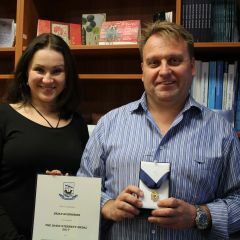 Inspired to innovate by the Deepwater Horizon oil spill in the Gulf of Mexico and the Montara oil spill in the Timor Sea, Captain Brett Whiteoak’s work to mitigate future spills has netted him the AMC Peter Morris medal. 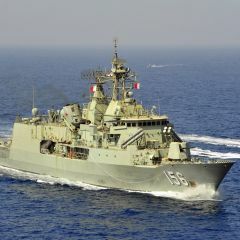 The University of Tasmania has welcomed the announcement by Minister for Defence Industry Christopher Pyne of the Naval Shipbuilding Institute, a joint venture between Kellogg Brown & Root and Huntington Ingalls Industries, as the successful tenderer to operate the Naval Shipbuilding College in Adelaide, South Australia. 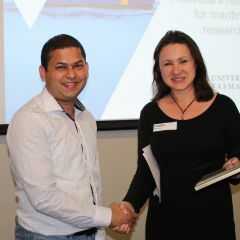 Making ships safer is the aim of Dr Rabiul Islam’s research into reducing the human error associated with shipping operations. 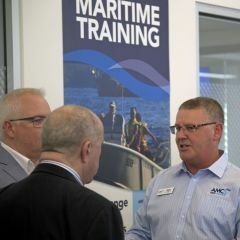 AMC's new Sydney Study Centre has been abuzz with maritime industry activity over the last month.